Anyone who has a smart idea and great determination can make money and start a company. This is now becoming a central belief among many members of the Indian community here in Melbourne. Take Avniesh Bhardwaj, proprietor of YABS Real Estate, YABS Domain and YABS Hair and Beauty businesses. Using mix criteria of sound financials, good marketing strategy and thorough knowledge of the markets, Avniesh has managed to create a niche in all the three fields. Dabbling into event management and advertising in Delhi, Avniesh was not sure if this was enough to satisfy his business instincts. Therefore in 1999, he packed his bags and came to Australia to study Business Management at RMIT. Like every other student, he started working part time and Coles was his first employer. Working with this supermarket chain for one-and-half years, Avniesh gathered all the experiences required to start his own retail business. In 2004, he began his entrepreneurial journey opening a 200 sq.m convenience store at Chapel Street, Windsor. The success of this store led to the opening of three more convenience stores under the name YABS Supermart at Malvern, Richmond and Burwood. Around the same time, Avniesh also started a bottle shop offering a range of alcoholic beverages at Glenferrie Road and a tobacco store at Chapel Street. Presently, says Avniesh, the Indian community is one of the biggest buyers in the market. The other good news is also that a lot of investments are coming into Australia from India. Besides YABS Real Estate, this St Columbus School alumnus also has other two successful business ventures – YABS Domain and YABS Hair & Beauty. So how did the other two happen? “It all comes down to marketing and sales,” says Avniesh. “Given the huge retail background, once I sold my Tattslotto outlets, I tried to get a website made and faced many problems.” Through problems emerge learnings. Therefore he decided to launch his own company to develop websites to minimise problems people encountered while making their own websites. At YABS Domain, the basic package is a five-page website for $299. YABS Domain sells domain names, web hosting, private servers, web designing and wed marketing strategies. Avniesh says “all of which are very important in today’s digital world”. The foray into hair and beauty came this June as his wife and business partner Yogita wanted to tap this market. 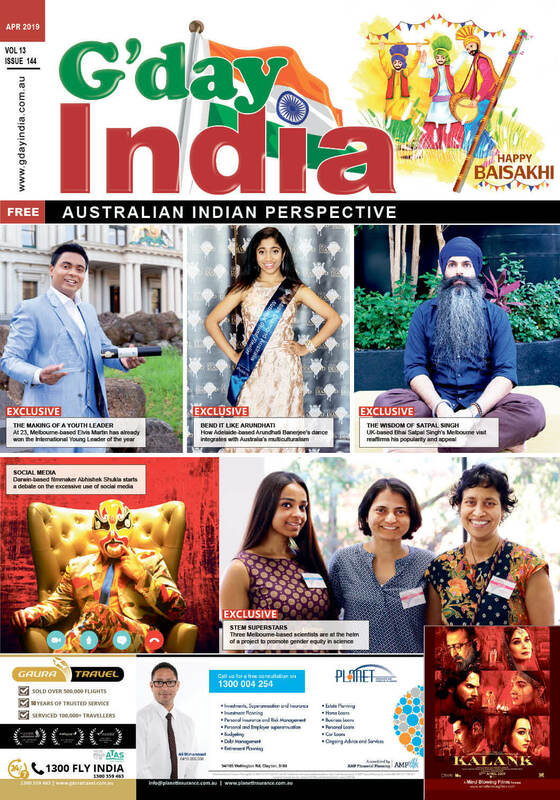 Together they launched YABS Hair & Beauty in Melbourne CBD and at Tarneit offering a mix of Indian and Australian services such as facials, massages, threading and other beauty treatments. “Plans are on to open more branches. We have also given YABS Real Estate franchise in Wyndham and Derrimut and talks are on for Coburg, Thomastown and Brimbank,” says Avniesh. So what sets YABS apart? Avniesh believes it is the best customer service that stands them in good stead. He acknowledges his wife’s support and contribution which also plays a vital role. Interestingly YABS is an acronym for Yogita Avniesh Bhardwaj & Sons. In business sense, YABS has got tamer, and with good results. It is time for other businessmen in the community to join the race! This British mogul cannot read!